Soiled cloth cannot be impregnated. Clean the cloth first. Damaged stitching and other damage can go unnoticed on a soiled tent or boat cover. Mould and green mildew must be removed quickly, before it penetrates deep into the cloth. After repairing a soiled tent or boat cover, the sewing machine often needs cleaning. A soiled boat cover spoils a beautiful boat. Ready to use. No dilution required. Safe for use on any type of cloth. Suitable for All-Season®, Sonnenland®, Markilux® en Sunbrella®. 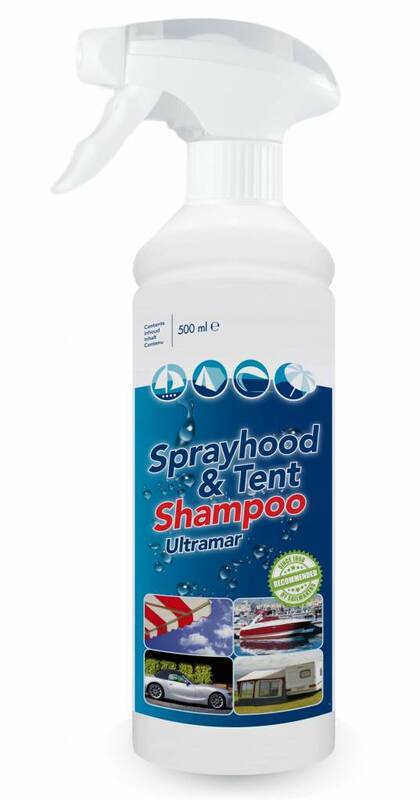 Developed by Ultramar, professional sail and tent cleaners. 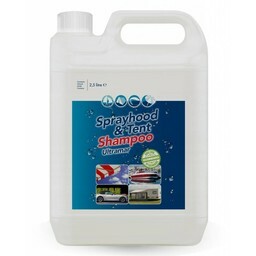 For cleaning and maintaining a tent, boat cover, awning or convertible top. 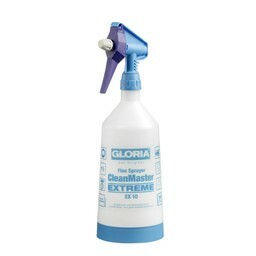 For cleaning window foil or tent windows, sprayhoods or boat covers. For cleaning and degreasing PVC. For cleaning boat cushions and backpacks. 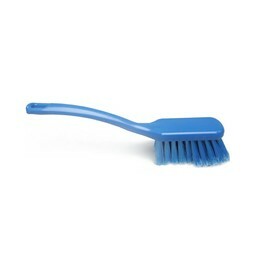 Can also be used for cleaning an aluminium sink, mountain bike, wheels and plastics. Can be used safely on almost any boat cover, tent, convertible top or awning. Read the instructions on the packaging before use. Rinse the fabric with water first. 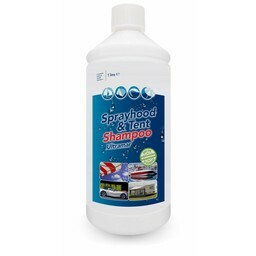 Shampoo to the fabric and rub it in using a soft brush. Leave for about 20 minutes and rinse with plenty of water and a brush.